What truly makes the best 12,000 Btu air conditioner? Is it design? Type? Warranty? Or brand? 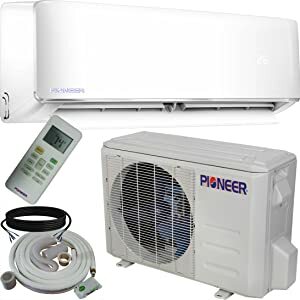 We believe the best 12,000 btu air conditioner is the one that meets your cooling needs, has a quiet operation, lasts for many years and desires at the lowest price possible. Which type of Air Conditioner Do You Need? And how much money will you spend on it? Window air conditioners, also known as room air conditioners, are designed to cool a single room and can be a good, easy-to-install option if a central air conditioning system is not practical or if you want to cool a single room rather than the whole house. Portable air conditioners offer more flexibility than window air conditioners since they don’t require permanent installation and can be moved from room to room. They’re also pricey, noisier and use more energy than similarly sized window units. A portable air conditioner is the best option for cooling a rental room. Split ductless air conditioners add air conditioning to a limited number of rooms without having to open up walls to install ductwork as you would with a central air system, or install and remove multiple window units each year. They’re more expensive than window or portable units and require professional installation. However, they’re quieter than window units and more energy-efficient than central ACs. After figuring out which type of air conditioner you need, you’ll also want to know that is 12,000 Btu the right capacity for cooling your room? No matter what type of air conditioner you want to buy, it’s important to choose the right unit. An underpowered air conditioner won’t cool a large room properly. 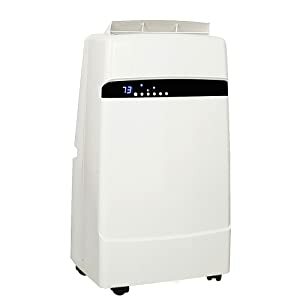 On the other hand, one that has too high of a BTU rating cools the area so quickly that it doesn’t have time to dehumidify the air, which can leave the space feeling cold and clammy. As a rule, an air conditioner needs 20 Btu for each square foot of living space. But it doesn’t mean that a 12,000 Btu unit is perfect for cooling a room of 600 square feet or an 8,000 Btu unit cools a room up to 400 square feet. There are some other factors need to be taken into consideration such as: the height of your ceiling, where the unit will be placed (a sunny room or a kitchen with extra heat from appliances), and the size of your windows and doorways. At the same Btu rating, window and portable air conditioners are designed for cooling the different room sizes. A 12,000 Btu window air conditioner is designed to cool a big room such as living room or family room from 450 to 550 square feet. While a 12,000 Btu portable air conditioner cools an area just about 350 square feet. Noise: if you’re looking for an air conditioner to use in the bedroom, consider to buy a unit that has a quiet operation. The best quiet air conditioners should fall between 50 to 60 decibels and sometimes even less than 50 dB. Split ductless units are quieter than window units, and window units are quieter than portable units. Energy efficiency: The average household spends 15 percent of its annual utility bill on cooling. So it’s important to choose the energy-efficient unit. The best air conditioners have an energy efficiency ratio (EER) above 10. And if your air conditioner meets the latest Energy Star standards, it uses 15 percent less energy than units without that certification. Filter: Look for models with filters that are easy to remove for regular cleaning—a dirty filter causes an air conditioner to work harder. Intelligent Cooling: Some air conditioners have gotten smarter, allowing you to control and adjust them from your smartphone. You can often interconnect them to other cooling units in your home. If you’re looking for a smart window air conditioner that can be controlled from your smart phones, the Frigidaire 12000 Btu Cool Connect is the best option currently available. Via wifi connection, you can turn the unit on or off, change temperature, control modes, and adapt fan speeds to best meet your comfort. The Frigidaire Smart App (available on Android and iOS) provides you the convenience to control the unit from afar, even when you’re not at home. This smart device also works with Amazon Alexa and Google Voice Assistant that allows you to control the unit simply by your voice. The 12,000 Btu Cool Connect window AC is capable of cooling rooms of up to 550 square feet with 3.8 pints per hour dehumidification. It’s an Energy Star qualified device with an impressive EER at 12. So it’s one of the most efficient air conditioners on the market. This model isn’t exactly whisper quiet, but it’s not overly loud either. Sure, you’ll hear its fan spinning when it’s on, but it’s significantly quieter than many others we reviewed. At just 54 dB on the lowest fan setting – as loud as a normal conversation at home, this unit will keep you cool at night without waking you up. The Frigidaire 12000 Btu Cool Connect is expensive, it’ll cost you almost twice as much as a traditional 12000 BTU air conditioner, but that’s the case with most smart devices. With a sleek and modern white design, it blends seamlessly into any room. If energy efficiency is the most important factor that influences your decision making, the LG LW1216ER may be what you’re looking for. This Energy Star qualified window AC unit has an excellent energy efficiency ratio of 12.1. That is the highest rate in our comparison. It means running this unit will be relatively inexpensive. The LG unit does a great job cooling down spaces up to 550 square feet with 3.8 pints per hour dehumidification. There is a dehumidify mode so you can get rid of the moisture in the air even if you do not want to change the temperature of the air at the same time. This unit comes with a variety of operating modes such as sleep mode, energy saver, 24 hours on/off that will help this unit meet your needs, for energy savings and for comfort. 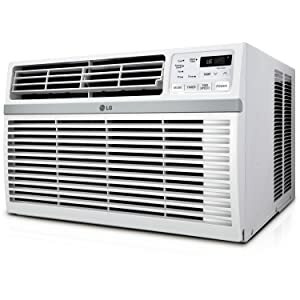 At just 52 dB on the lowest setting and 60 dB on the highest setting, the LG LW1216ER is one of the quietest 12,000 Btu air conditioners you can buy. It can add considerably to your happiness during a scorching summer. If saving money is important in your choice of 12,000 Btu air conditioner, consider the Haier HWE12XCR. This unit is one of the most affordable air conditioners that comes with a lot of good features. That’s probably why it gets such great reviews from both owners and fellow professional reviewers. This window air conditioning unit can cool a room very quickly and removes more moisture from the air than many others on the market. However, it’s less energy-efficient than 2 options above with an EER of 11.3 and the estimated annual energy cost is $95. This unit has an electronic control panel with a digital display plus a full-function remote control. The remote control can be magnetically stored directly on the unit so it is never misplaced plus it has Braille controls for the visually impaired. Functions include cool for cooling the air, energy save to save energy while cooling, Fan to circulate the air and dehumidify to reduce humidity. Choose from 3 cooling speeds (high, medium or low), 3 fan speeds (high, medium or low) or auto cool for maximum versatility. With the energy save function, the fan will run at low speed when compressor cycles off and then return to the set Speed once compressor cycles back on. We tested this unit and found that it’s one of the quietest 12,000 Btu portable air conditioners you can buy. At just 50 dB on low fan setting, the Haier HPC12XCR is super quiet, so it’s the best option for cooling a bedroom or kid’s room. This portable air conditioning unit is designed for cooling a room from 350 to 450 square feet. With three cool settings, three fan settings, a 24-hour on/off timer and dehumidify mode, this single-hose HPC12XCR is equipped to meet your interior climate needs. This unit can remove an impressive 4 pints of water from the air per hour which will make you feel comfortable very quickly. Especially if you live in a humid environment. At just 56 pounds, the Haier HPC12XC is one of the smallest portable units on the market. So you can move it around the house quickly as needed without too much of a fuss, making it an ideal portable unit. When it comes to properly venting your air conditioning units, we have 2 main types that you should be aware of: single hose and dual hose. Dual hose units cool an area more efficiently and quickly than single hose units but also cost a bit more. 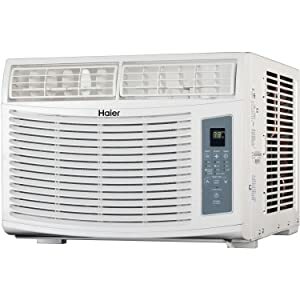 The Whynter ARC-12SD is the best 12,000 Btu dual-hose portable air conditioner you can buy. It’s specifically designed to be mobile and powerful. This unit is designed for a 400 square feet room. The dehumidifier mode allows you to extract 96 pints of excess moisture during a 24-hour period (4 pints per hour). With the new eco-friendly CFC technology, you can stay cool while keeping with better environmental standards and reducing energy consumption. This unit features the patented advance auto drain technology, which uses and recycles moisture collected during the cooling process to produce cool air. The dual hose operation provides fast cooling. It also features an auto-restart function which it automatically restarts on the previous settings after power outage. Additionally, the unit can also be programmed with a 24hr timer to activate or shut-off at preset times. 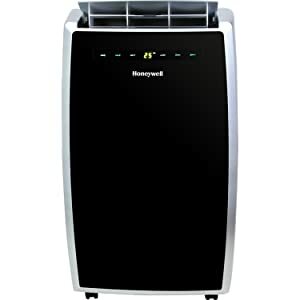 The MN12CES 12,000 BTU Honeywell Portable Air Conditioner combines 3-in-1 technology into one compact body, cooling and dehumidifying areas up to 450 square feet. It features an environmentally friendly refrigerant, auto evaporation system, a reliable dehumidifying function as well as a traditional three-speed, fan-only function. The MN12CES is a convenient portable air conditioner that delivers optimum cooling, dehumidification, and fresh ventilation. Furthermore, this unit runs relatively quiet. It produces 53 decibels on the lowest fan setting, that is lower than many other portable Ac units we reviewed. It has the auto-evaporation system that allows for hours of continuous operation with no water to drain or no bucket to empty. Unlike a fixed AC, this unit requires no permanent installation and four caster wheels provide easy mobility between areas. It comes with everything needed including a flexible exhaust hose and an easy-to-install window venting kit. The window vent can be removed when the unit is not in use. 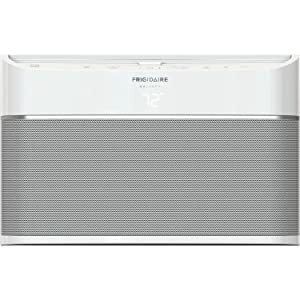 If a smart device is what you’re looking for, enter the Frigidaire Gallery Cool Connect Smart Portable Air Conditioner. It doesn’t come cheap, but it’s easy to install, offers 12,000 BTU of cooling power, and works with Amazon Alexa and Google Assistant voice commands. 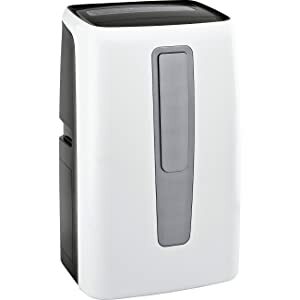 Like the Frigidaire Cool Connect window AC, this portable AC unit can be controlled via a mobile app, you can turn unit on/off, change temperature or modes to best meet your comfort. 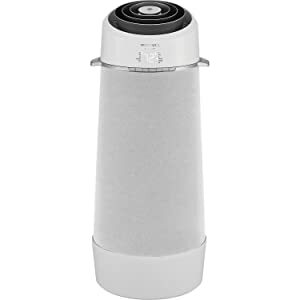 This portable air conditioning unit has an advance circular airflow that discharges cool air upward in a 360-degree pattern, continuous spiral ensuring it reaches every corner of your room faster. It has an LCD control panel that shows information such as current temperature and setting modes. There are also indicators that tell you when to clean the filters, when the unit is following a schedule, and when it is connected to your home’s Wi-Fi. Cooling a room up to 550 square feet, the Frigidaire is the most powerful 12,000 Btu portable AC unit on the market. A typical 12,000 Btu portable AC is designed for cooling a room less than 400 square feet. This unit also has three fan speeds and a built-in 3 pints-per-hour dehumidifier. The Pioneer WYS012-17 is the best-selling mini split ductless air conditioner on the market. It was built with latest technologies for superior efficiency, utmost comfort, and powerful performance. Pioneer offers you 2 options for 110V and 220V electric systems. This unit is strong enough to cool a living space of approximately 650 square feet. It cools a room very quickly and makes little noise. One of the biggest drawbacks to buying a ductless air conditioner is the cost, these units are priced higher than conventional window units and can run up to $2,000 for 12,000 BTU models. At less than $750, the Pioneer WYS012-17 is the least expensive of the units we reviewed. This does not include parts and labor needed for a professional installation. If the best window air conditioning systems have an EER above 10, the best split ductless air conditioning systems have a SEER above 16. SEER is “seasonal energy efficiency ratio”. Rather than measuring the energy efficiency of an air conditioner at one operating temperature, SEER is the calculation of how energy efficient the air conditioner is during the cooling season at varying temperatures. Said another way, SEER takes into account how the EER is affected by different temperatures. The higher the SEER, the more energy-efficient the unit. The Pioneer WYS012-17 has SEER ratings ranging between 16~18 means it is designed to use every watt effectively.